The deets: Old Navy dress; J.Crew jacket (similar), earrings, and necklace; 3.1 Philip Lim bag; Sam Edelman heels (exact) . 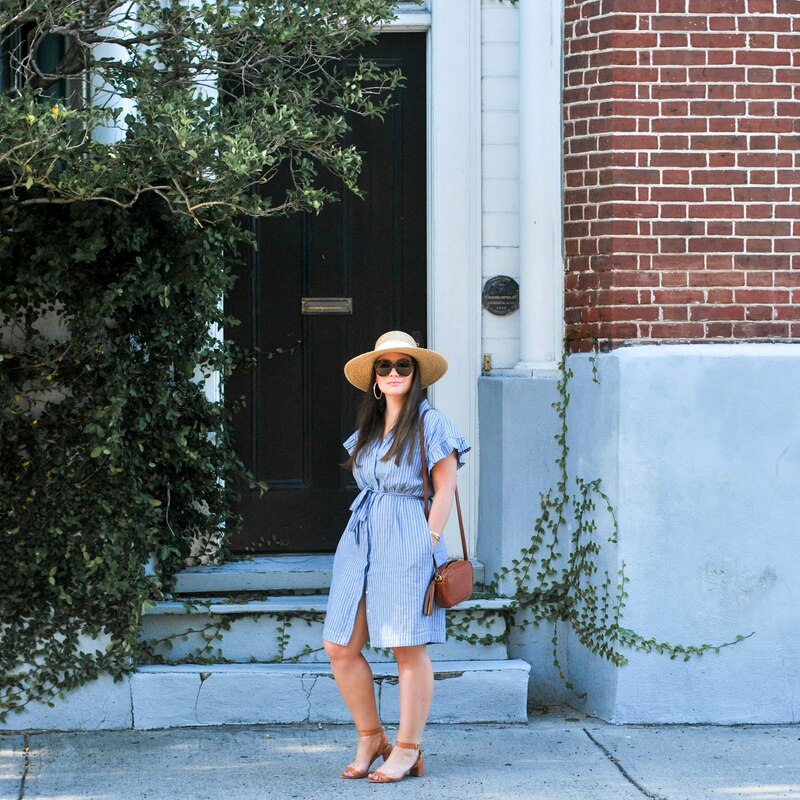 I love this dress because it was SO inexpensive (Old Navy has really been stepping up their game lately), it fits like a glove, and is so very versatile. It's basically a once a week staple for me at work but I can still get away with losing the jacket and wearing it out after hours. I actually wore it to a friends rehearsal dinner last month. Winner! Oh I'm so jealous! I literally tried buying that dress this AM and it was sold out in my size :( So cute on you though!